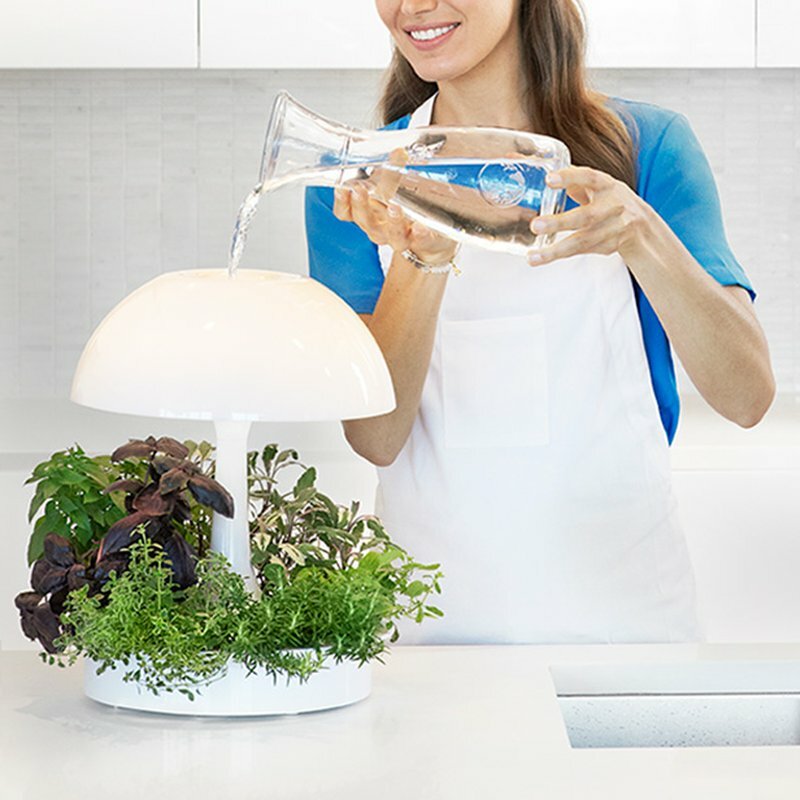 The hydroponic technology inside the lamp is clean, water efficient and allows plants to improve the air quality in your space. The intuitive control panel lets you toggle between the two light settings: optional ambient light and grow light. 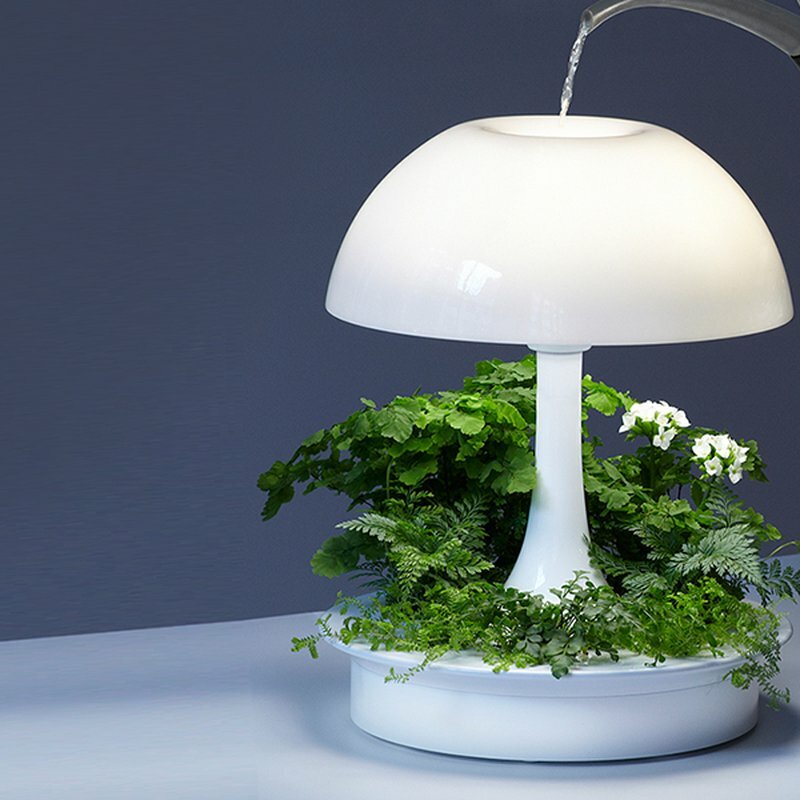 The lamp is designed to support six plants. Plants are sold separately and are available below. 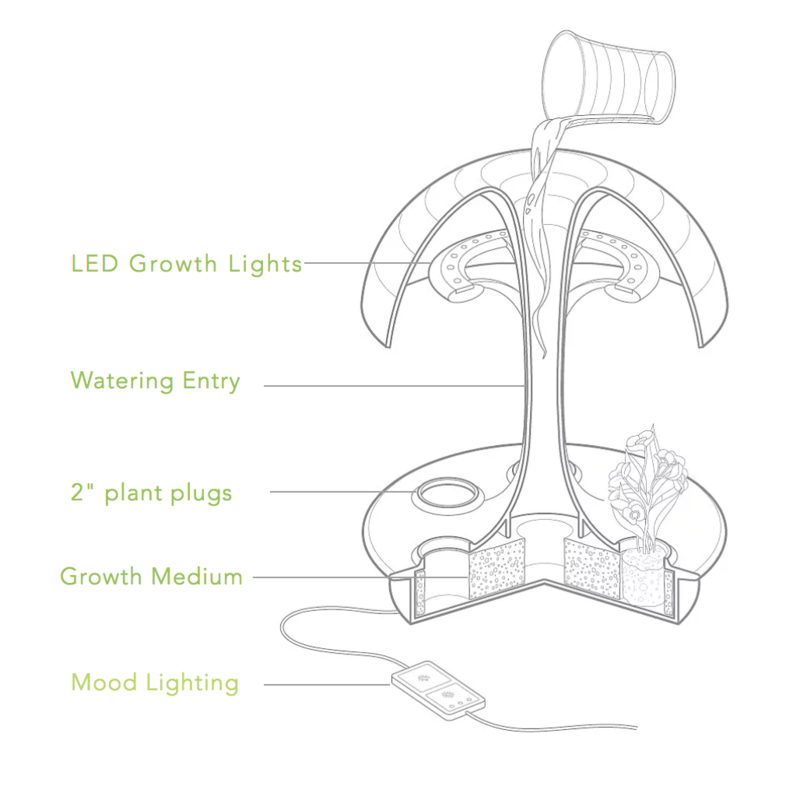 Any room, any light settings will work since the lamp has it’s own LED grow light. Ambienta is a multifunction modern table lamp. Its elegant lines and refined design mix seamlessly into any decor. With Ambienta, the LED lights provide the calming effects of vibrant, living plants while adding decor that instantly communicates your unique sense of style.